First, I should probably apologize for this post because I'm writing it while listening to a playlist of random favorites. At the moment, Neil Diamond's Holly Holy is playing. It's distracting. This playlist makes me happy and sad all at once. But happy usually wins out and I dance like a freak around the house, usually. After finishing the Julia Sweater, I wanted to get into two more sweaters that have been on my list for a while. 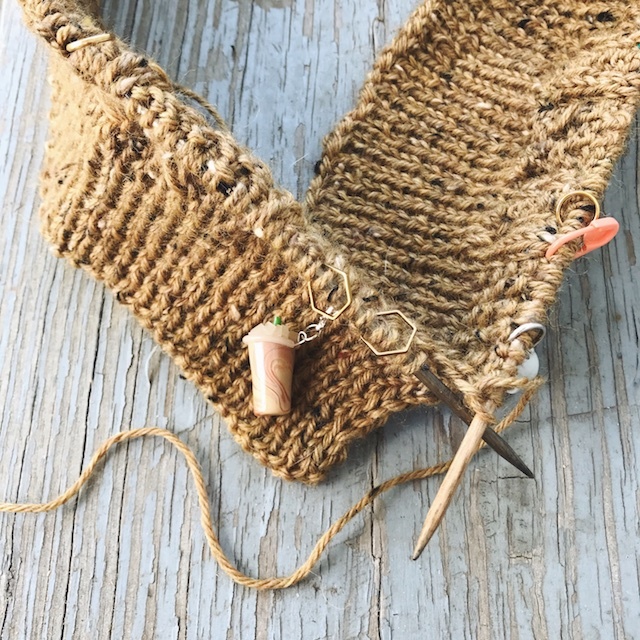 I've enjoyed knitting lots of socks and shawls in the last year, but I want to get back to garments. 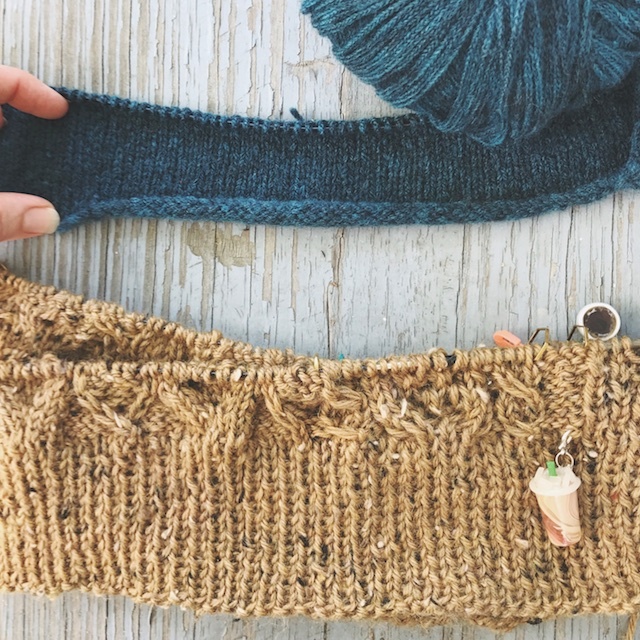 I like to have at least two knits going at all times- one that's good for tv knitting and one more complicated. Guess which is which? The top sweater is the Gingerbread sweater from Libby of Truly Myrtle. It's a classic style, wide-neck sweater. 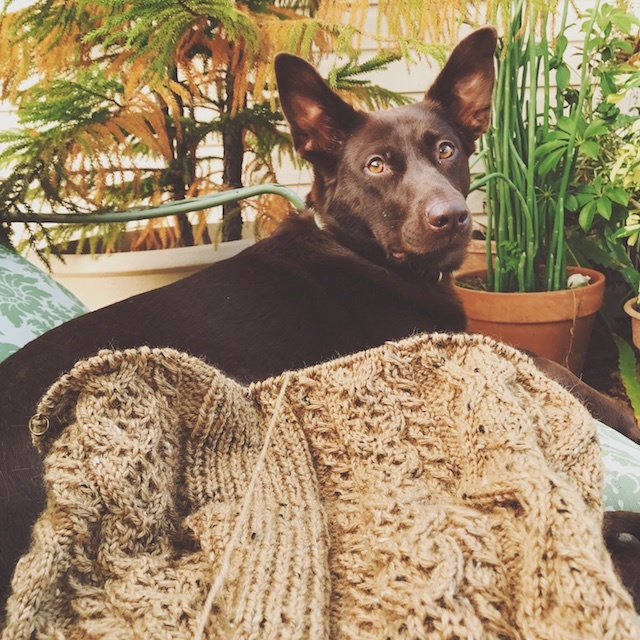 When I first saw it on instagram I thought how I wanted to knit mine in cashmere. Then I came back to reality and started looking for something with just a little cashmere in it. I found this Lana Grossa Alta Moda Cashmere Fine on sale at Loveknitting. It's only 10% cashmere, but may as well be the real thing to me. It's softer than my kitten. 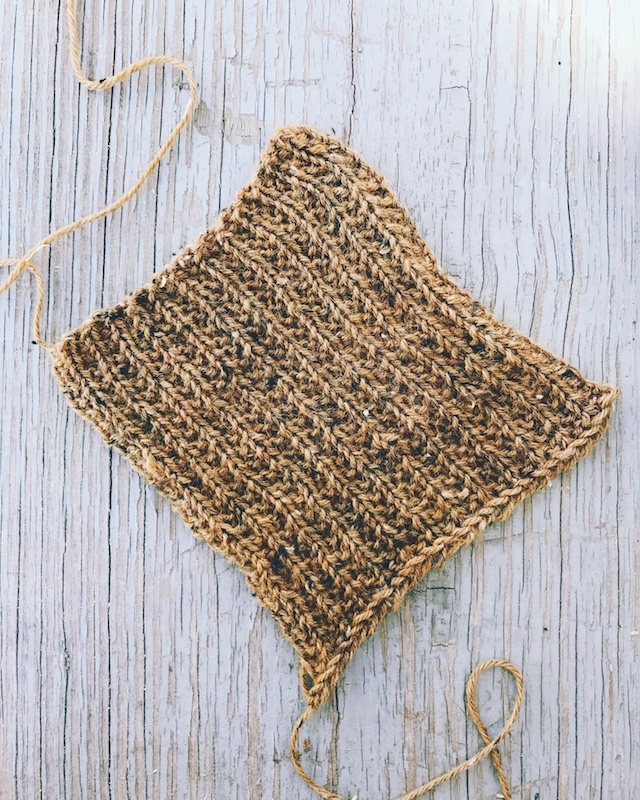 Even though Gingerbread is a seemingly straight stockinette sweater, I found the beginning, short rows and shoulders, really interesting. But that's about as far as I am. 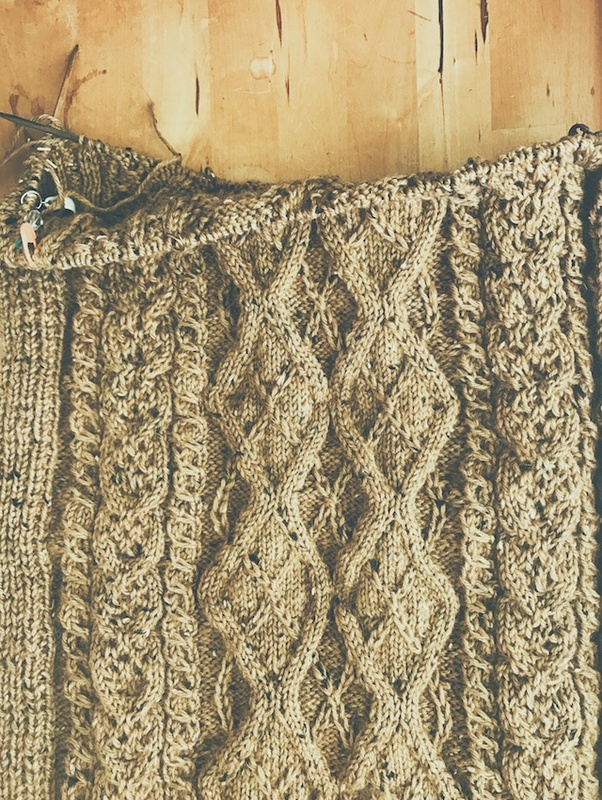 Since I am almost finished recovering from that sprain, I thought I'd really focus on the cabled Journey, by Alina of Gift of Knitting Designs. I'm hoping to finish it before the recovery period is over. This one is knit in trusty Wool of the Andes Tweed in Brass Heather that I've been saving until I knew what the heck was going on with my body. I think the hormonal weight fluctuation has settled down, so I'm digging into the all the cables. I'm also knitting this so it will have a little ease. 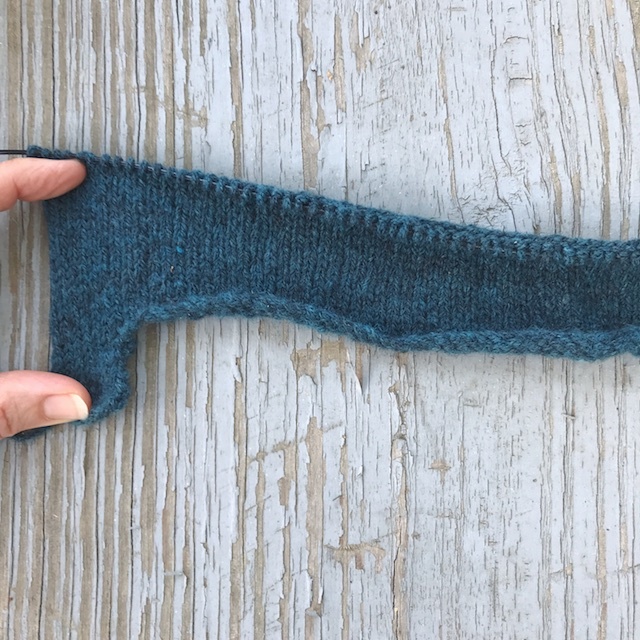 I have two thoughts here: I so love this color and moss rib makes ribbing bearable. And so this sweater has accompanied me through three Planet of the Apes movies and anywhere I go that doesn't involve holding a conversation with anyone. Dogs don't count. I made a serious dent on this sitting around the campfire and while the family played Catan (There were 5 of us.) And now I'm actually looking forward to sleeves. Did I just type that?